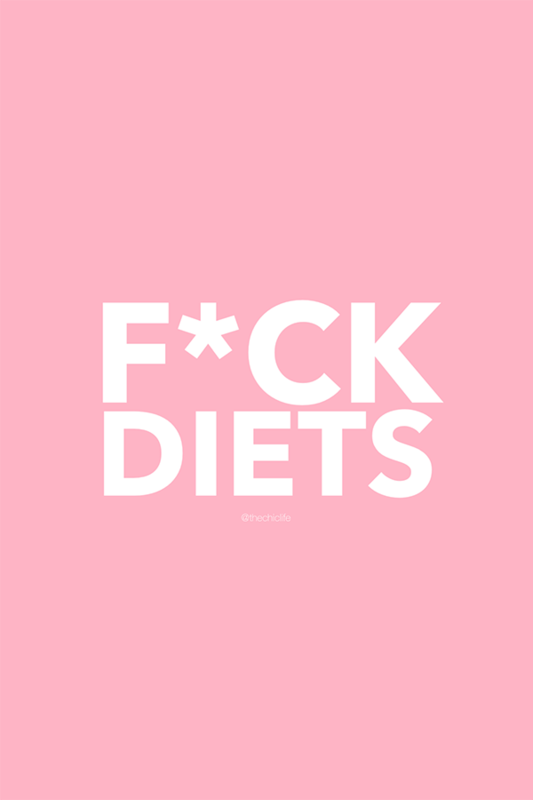 Hi friends, I have some strong words for today: F*ck diets. Yea, I said it. Why? Because diets were so incredibly toxic for me and many others I know in the healthy living space. Keep reading for why, plus the eating style that actually has kept my weight loss off since 2009 while allowing me to enjoy and love the foods I eat! The only thing diets taught me was how to have a negative relationship with food. Oh no! Can’t eat that! Ooh I really want to eat that, but I just shouldn’t. If I eat that, I’ll gain like…1,000 pounds. Fear, anxiety, and unrealistic expectations. Ugh! Focus on what you can’t eat. And often train you to believe certain foods are “bad”. Eating in such a restrictive way got me “skinny”. But I would only maintain my weight loss if I maintained my restrictive eating style. And my then-eating-style had me stressed out and hungry all the time. While I don’t like admitting defeat, I realized that the way I was approaching food was unsustainable long term. Not only that, I didn’t want to keep eating that way. I was miserable. So how have I maintained my weight loss while fully enjoying my food and getting the most awesome, positive relationship with food? The answer: A mix of clean eating and intuitive eating. There are many definitions of clean eating. Some shock me to be honest because they seem like altered versions of what I originally understood clean eating to be. For this reason, I came up with my own style, called “Cleanish“. Cleanish is my version of clean eating, which is to try to eat as close to the source as possible. How? Figure out what a food is in it’s most natural state. And eat as close to that as possible. So potato chips are processed – they’re cut, cooked, and have other treatments to get them into chip form. But a potato that has been harvested out of the ground is a whole food. That’s a potato in its natural state. Bonus points for getting your foods at farmers markets! They’re more nutritious and eco-friendly. Eating when you’re hungry and stopping when you’re full: This can be difficult to do at times, but it’s like a muscle. Keep working it, and your intuitive here will get stronger. Listening to your cravings/interests: Your body is smart, and when it’s craving something in particular, it often means it needs something. Thirsty? You may need water for hydration. Craving sweets? You may need more vitamins, which are naturally found in fruits. There’s so much more I want to say about this, but I want to keep this high level for now. But do let me know if you have any follow up questions to anything I’ve said. There are many of us who post regular non-diet inspiration on Instagram. Check out hashtags: #foodfreedom and #ditchthediet. Shameless plug: You can also follow me: @thechiclife – I’m not doing daily food diaries here anymore, but I do try to share a lot of what I’m eating over on Insta. If you’re new here, I have TONS of delicious, clean eating recipes here on The Chic Life. Healthy Salted Caramel Smoothie: Tastes like caramel without any added or refined sugars! Healthy Chocolate Pumpkin Oatmeal with Sunbutter: Forget oatmeal packets and make this version – it’s much more delicious, filling, and nutritious! Refreshing Blueberry Chia Fizz: So much better than soda – with superfoods! 12 Healthy Summer Recipes: Perfect for the upcoming summer season! What eating style works for you? 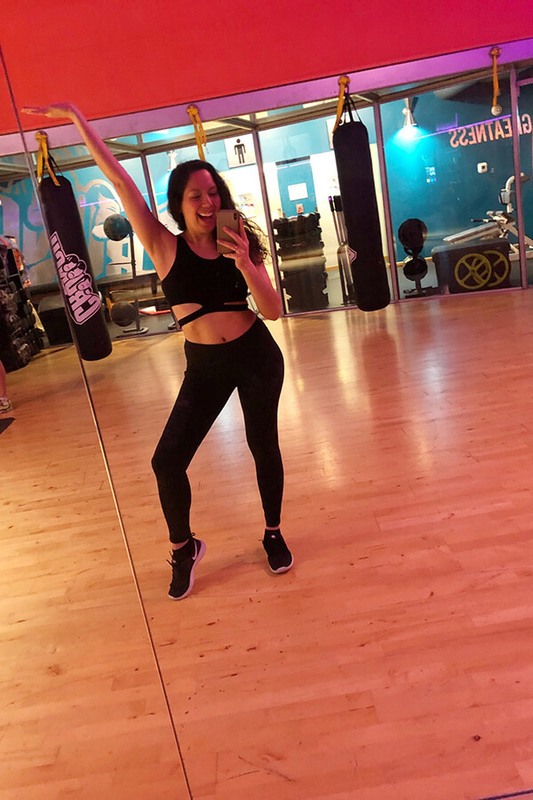 Thanks so much for reading this post about this idea of F*ck Diets and my healthy eating style. Cheers! Know anyone struggling with a toxic diet approach, please consider sharing this with them! Let’s spread the love of the Food Freedom movement!